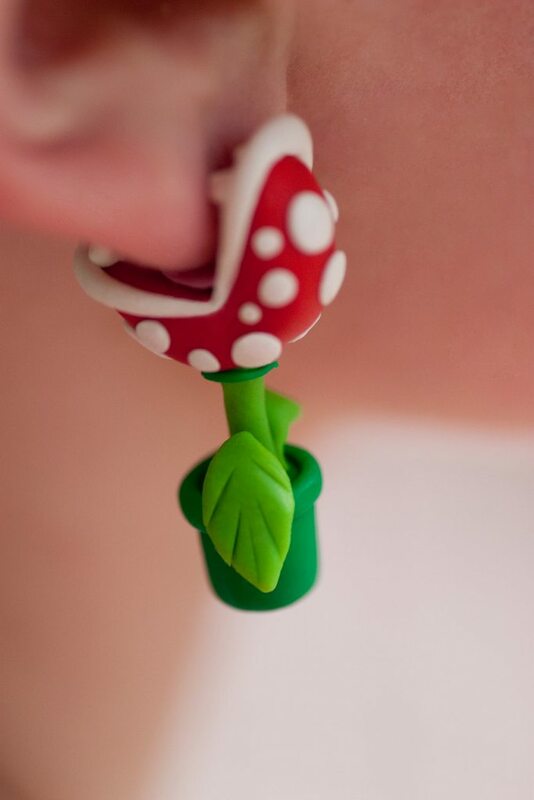 Super awesome accessory for any Mario Bros fan! 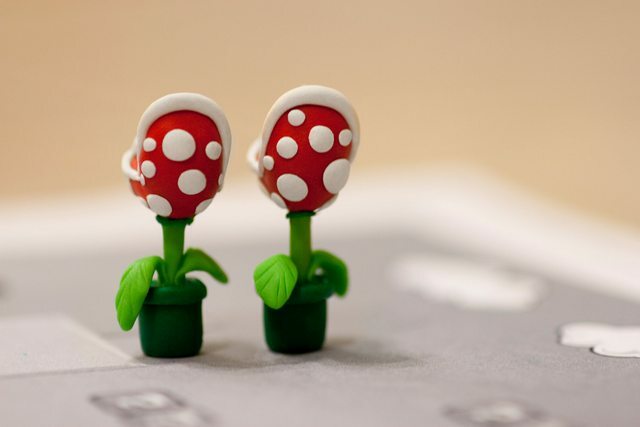 This Piranha Plant earring set made of polymer clay will sure put a bite in your day. 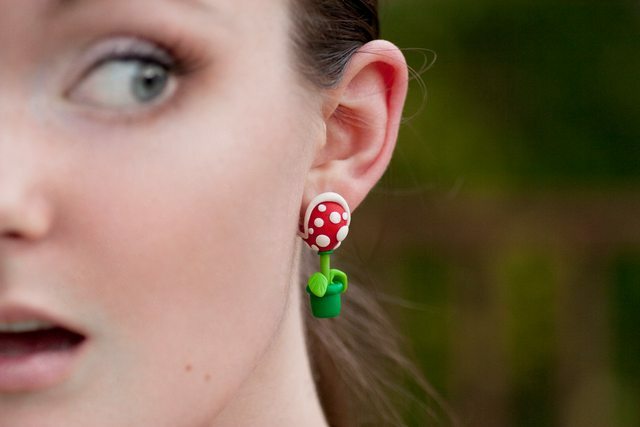 Piranha Plant earrings have the appearance of having quite the grip on the ear. 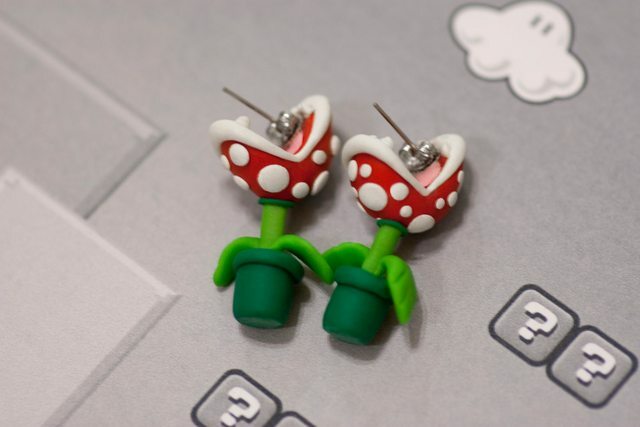 That’s a scary thought but don’t worry these adorable earrings will cause you no pain, maybe tears of joy though!! These items are handmade so every item will vary slightly and signs of fingerprints are visible.